Pst Viewer Pro is a flexible tool that can help you search, view and convert your email messages. 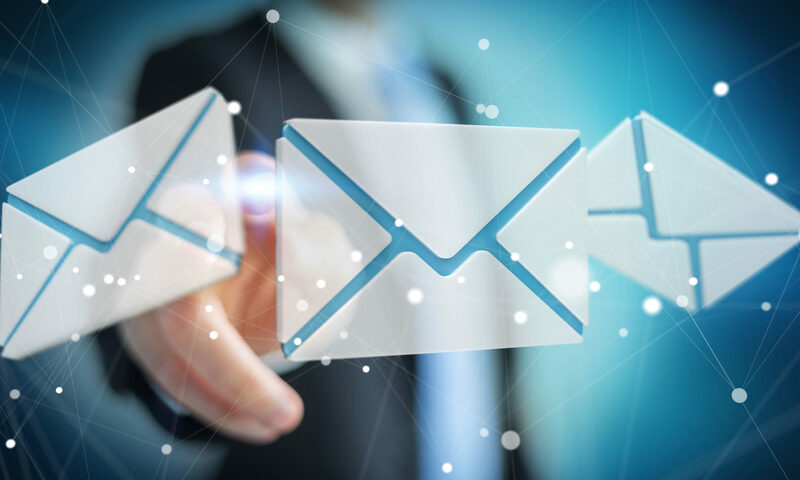 Source email formats supported include Outlook .pst and .ost files, .msg email messages, and RFC-822 formatted .eml files. When working with Outlook messages, it is not necessary to have Outlook or MAPI installed on the computer; Pst Viewer Pro works independently of Outlook. Pst Viewer Pro is a Windows email viewer that virtually anyone can install and operate through the normal Windows GUI point-and-click interface. Although most Pst Viewer Pro users will never use this specialized functionality, it adds a tremendous amount of value for those who need it, and it is included at no extra cost with each license. 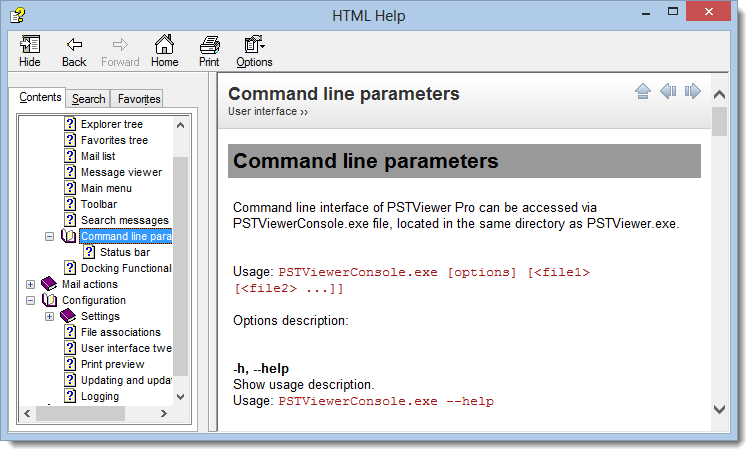 Every copy of Pst Viewer Pro also includes a command line tool called PstViewerConsole.exe. This tool extends the capabilities of the software to the Windows command line. It can be implemented from a DOS batch file, and parameters and email files can be passed directly to PstViewer Console. There are several options that may be specified. Two of the most commonly used are -p for Print, -e for Export. Let’s examine each one briefly. This function will print the specified message to the specified printer. 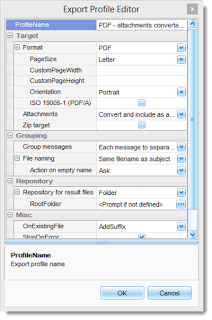 Export messages with predefined profile. In the this example, PstViewerConsole would load the profile “PDF-attchments converted/included,” and convert the email inside a .pst file into individual .pdf files. You can easily make changes to any of the export profile settings within Pst Viewer Pro. Any changes will carry through when the profiles are called using PstViewerConsole.exe. 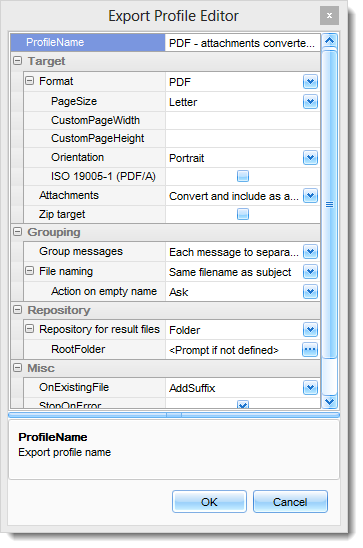 Changes to Pst Viewer Pro’s Export Profiles are best accomplished by starting the GUI version of Pst Viewer Pro, selecting the profile you want to change from the drop down list, and then clicking the “Edit Profile” button. After clicking the Edit Profile button, you’ll see the Export Profile Editor window. From here, you can edit any setting relating to the profile. For example, with the “PDF -attachments converted/included” profile, you can specify the page size of the .pdf files, the orientation of the page, how to handle email file attachments, where the messages should be saved, and much more. Any changes made to this profile when it is called by PstViewerConsole.exe from the Windows command line. For more detail on using PstViewerConsole.exe, please consult the Help file from Pst Viewer Pro. You’ll find all the command line parameters documented, and sample command line constructs for accomplishing different tasks. 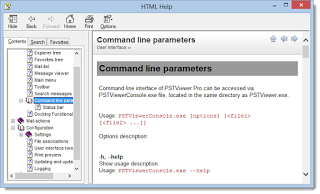 We hope this article helps get you started using Pstviewerconsole. You can always reach the Pst Viewer Pro support team with specific questions.